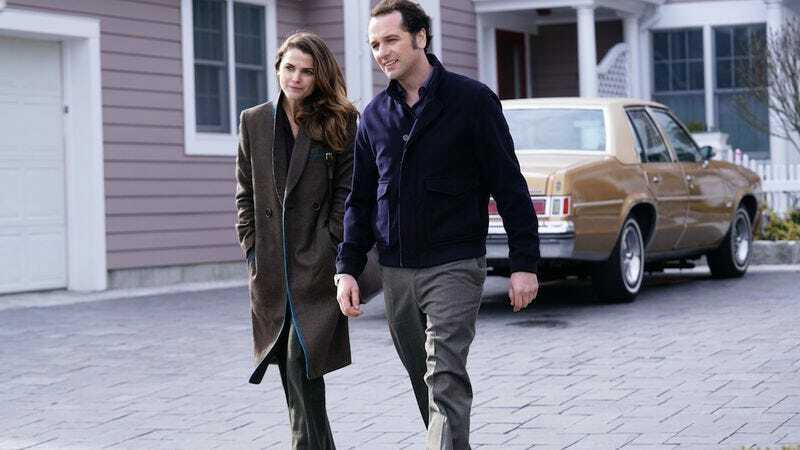 In last week’s installment of The Americans, the series dropped a hint that Henry, the Jennings’ ignored son, was up to something at school. Tonight we learn what he’s gotten into: Algebra 2. Turns out that all this time spies Philip and Elizabeth haven’t been paying attention to their kid he’s been excelling in math. The revelation stands out as a somewhat amusing one in a particularly devastating episode—that is, if you don’t find it too heartbreaking that Henry is keenly aware his parents think his sister is smarter than he is. Meanwhile, on-camera Emmerich is tasked with playing Stan in a state of romantic bliss with his new girlfriend Renee (Laurie Holden). ”I think Stan is just completely enamored and happy and it feels like he’s got the healthiest relationship he’s ever had,” Emmerich said. “Certainly, it’s in its early stages but it feels I think really good to him, and like a real relief. He’s matured, he’s grown, he’s learned a lot about himself, and he’s met someone that he just sort of instinctively feels comfortable with and comfortable sharing with in a way that he hasn’t in the past. And, you know, she’s a beautiful, dynamic, interesting, vivacious woman.” A “beautiful, dynamic, interesting, vivacious woman” who Philip thinks may be another spy—an element of the plot that Emmerich had to contend with as a director. “Clearly, it seems a lot of the audience has their ears up looking for what could be wrong here because it does arouse some suspicions,” he added. ”It was fun to touch upon that as well.” What’s really going on with her? That’s yet to be determined. Regardless, it’s probably not related to Algebra 2.